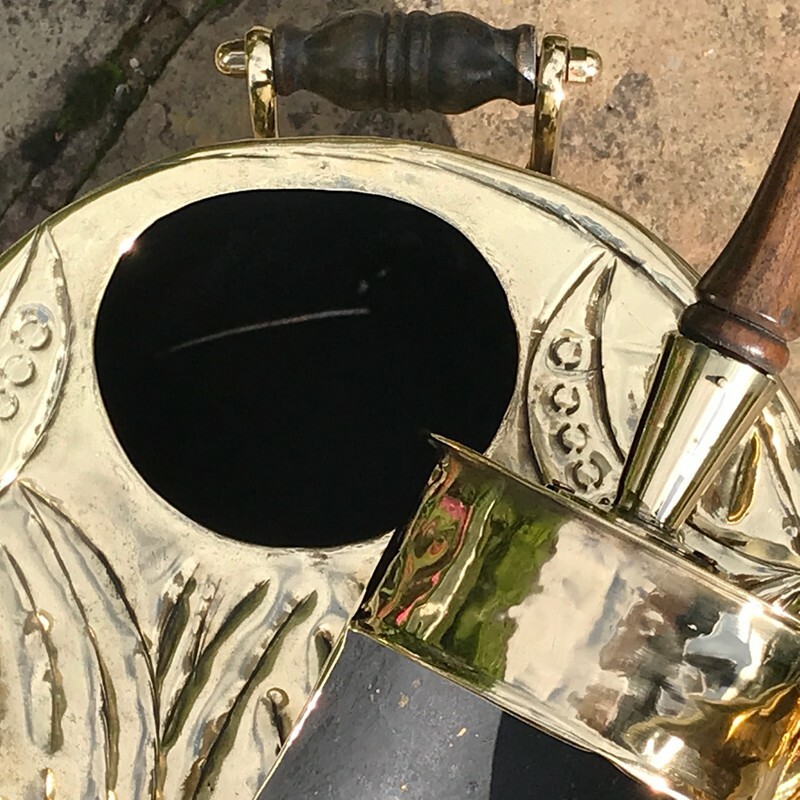 A very fine quality 19th Century coal scuttle with removable inner liner, original brass shovel and folding handle. 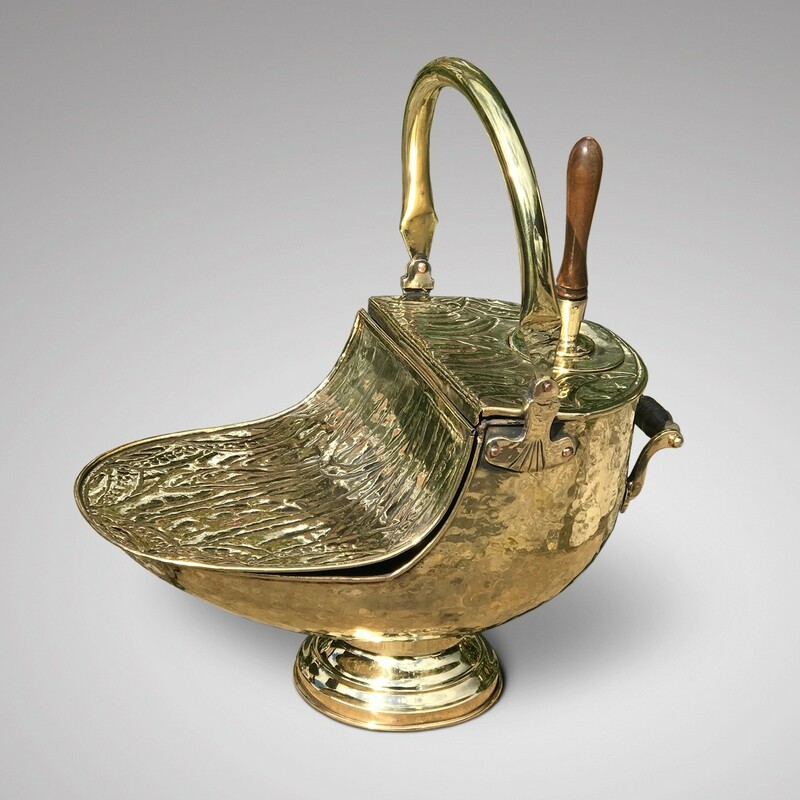 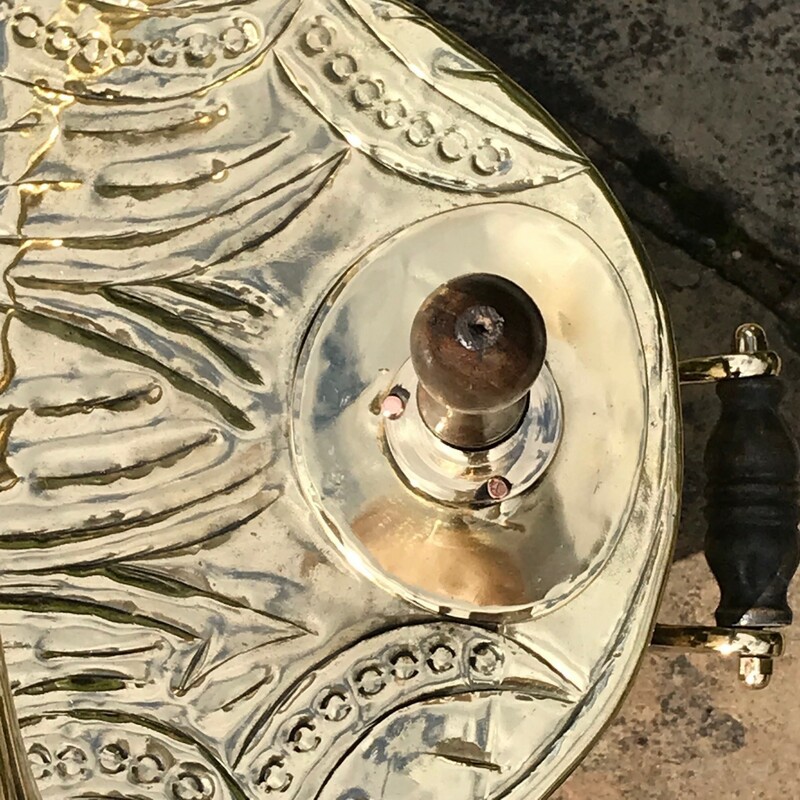 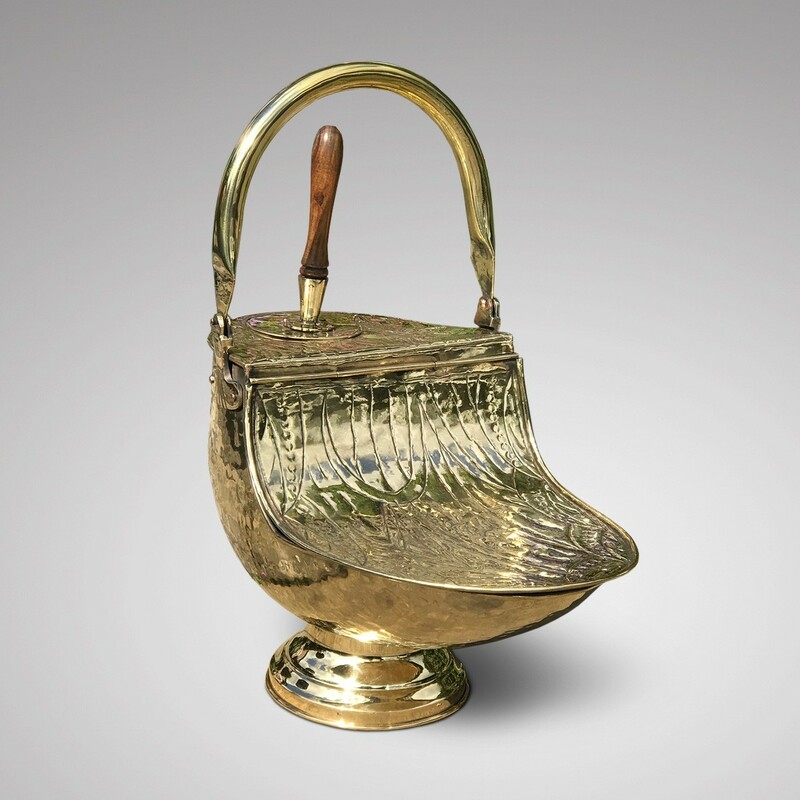 The body of the coal scuttle is beaten brass, giving an interesting textured look and the top and curved hinged lid are impressed with an unusual abstract design of leaves and pods. 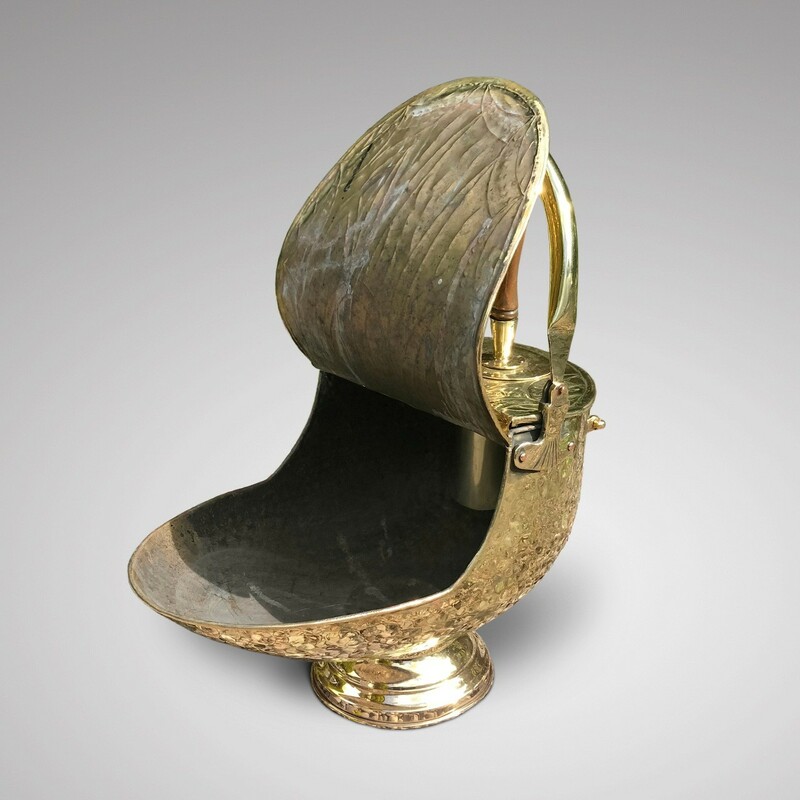 The condition of this antique coal scuttle is excellent. 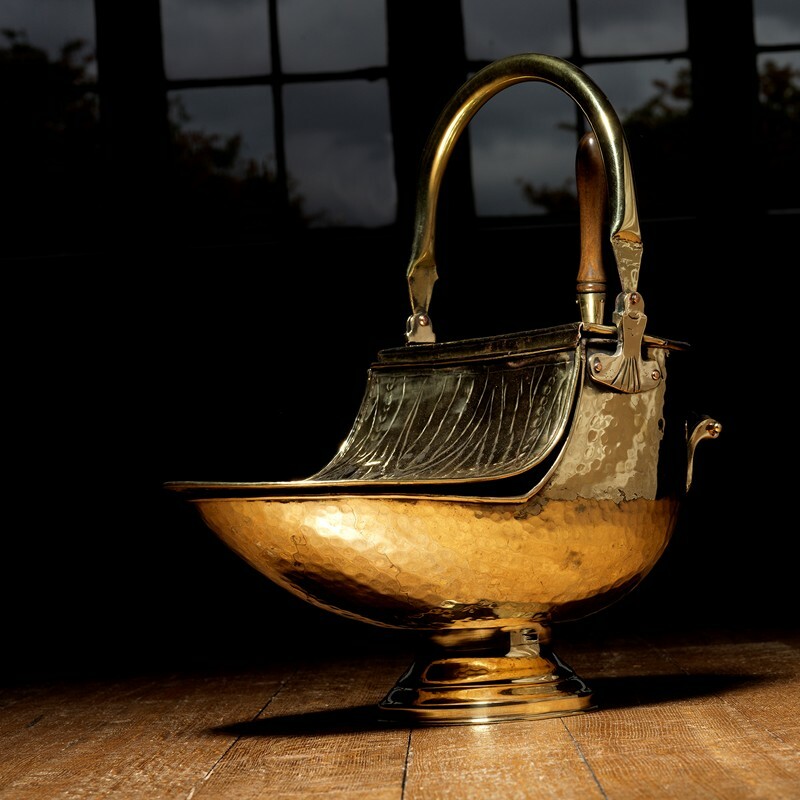 This superb Victorian coal scuttle would be a decorative and practical addition to any fireside.